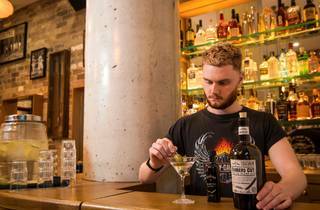 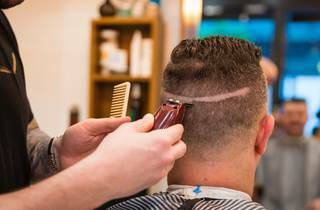 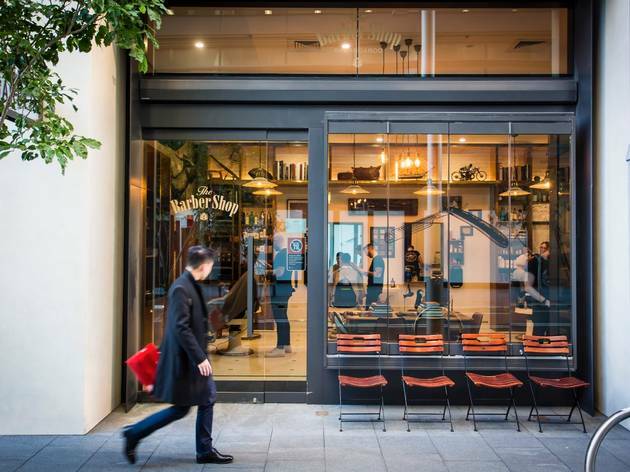 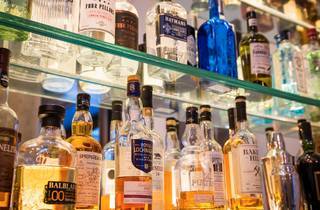 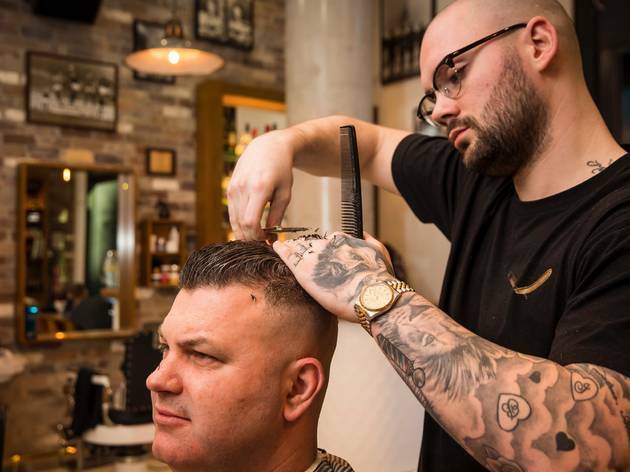 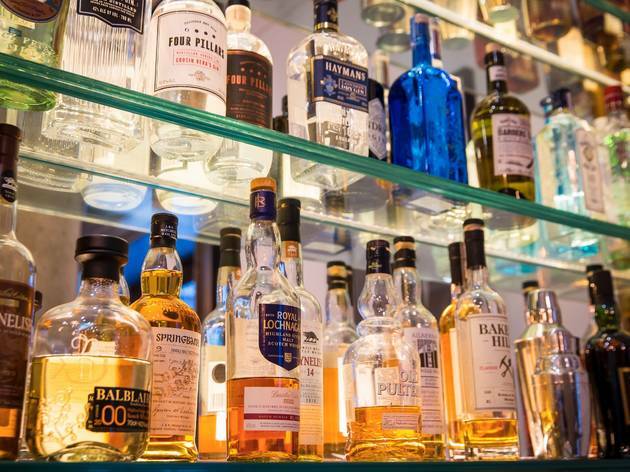 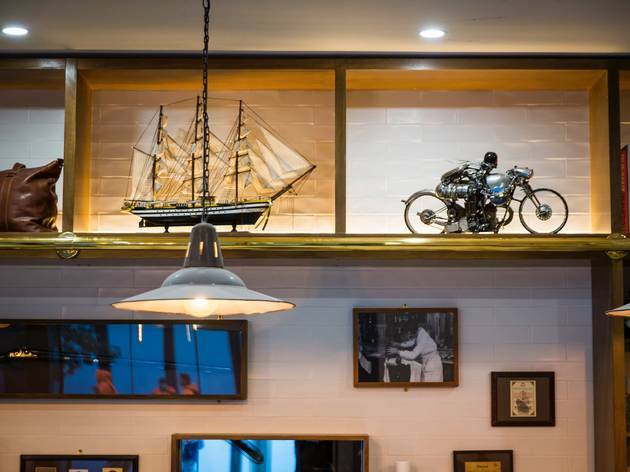 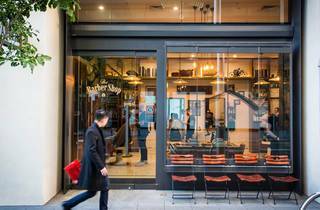 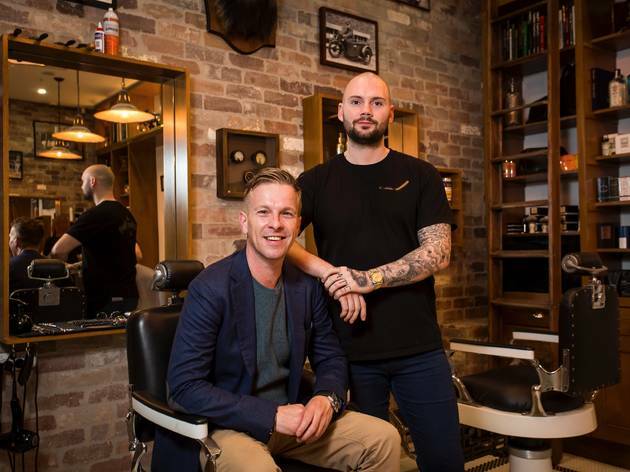 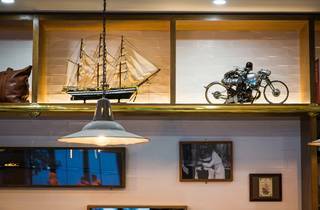 The owners of York Street’s gin palace behind a barber shop have flipped the concept on its head for their second venue: the Barber Shop at Barangaroo is a gentlemen’s playpen of grooming products, luxury shaving treatments and three shelves of hard liquor. 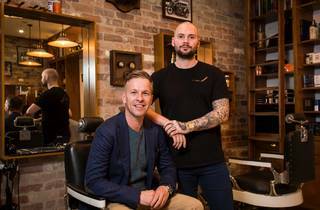 Director Mikey Enright says he didn’t want a carbon copy of their first venture, but instead to create a blokes’ hangout space, where you can get a trim and socialise with mates. 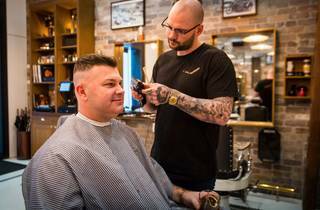 The streets of Barangaroo still feel fresh-out-of-the-packet, but when the 20,000-or-so residents to move in Mikey and his team will be ready. 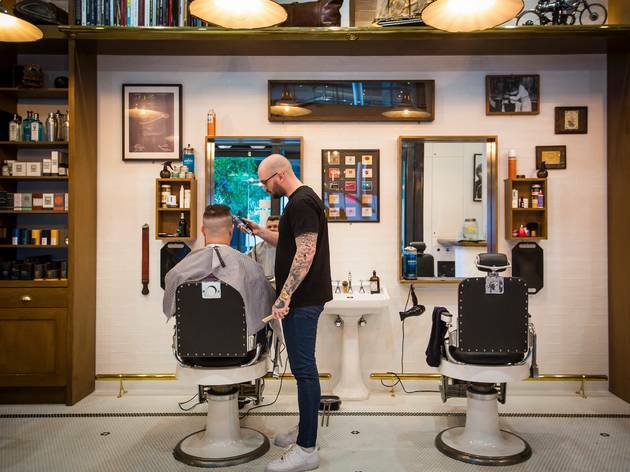 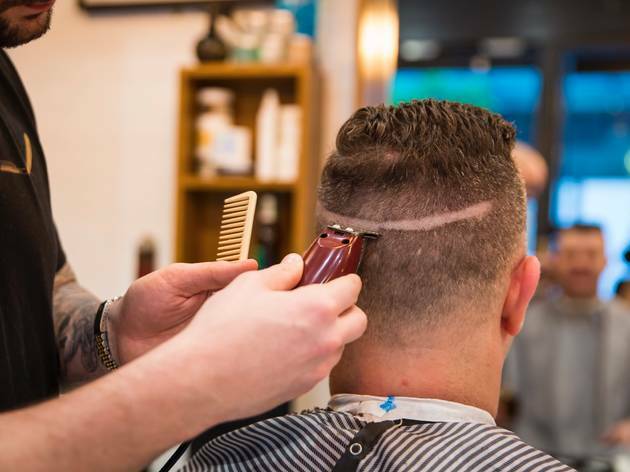 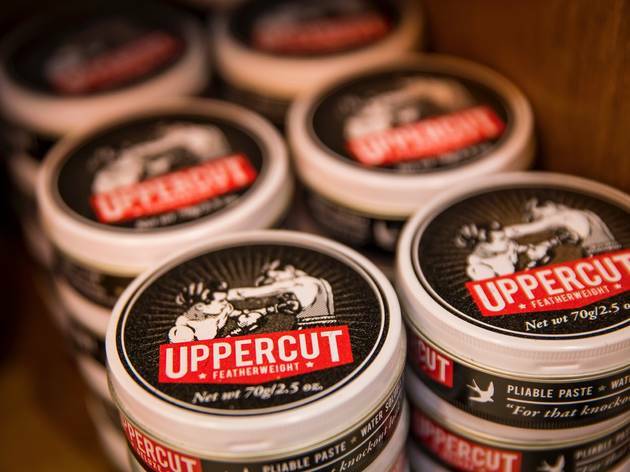 The Barber Shop team have brought with them an old-world feel that’s as slick as the hair gel on the shop’s shelves. 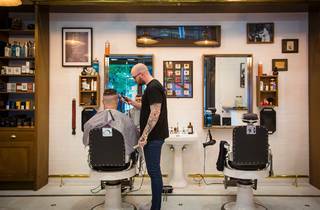 There’s no blood and bandages outside, but indoors there are black-and-white framed photos of musicians and sportsmen on the bare-brick walls, and six traditional barber shop chairs on the ivory-white tiled floor. 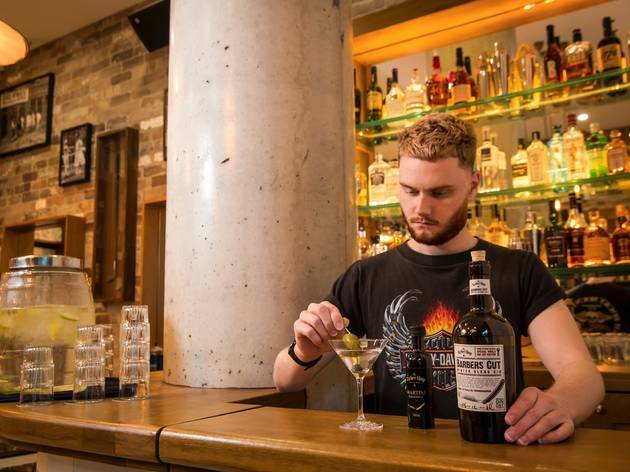 They’ve got a small, fully functioning bar in the far right corner stocked with Four Pillars and Archie Rose gins, as well as bottled cocktails, which are easier to serve without a full-time bartender at the shop. 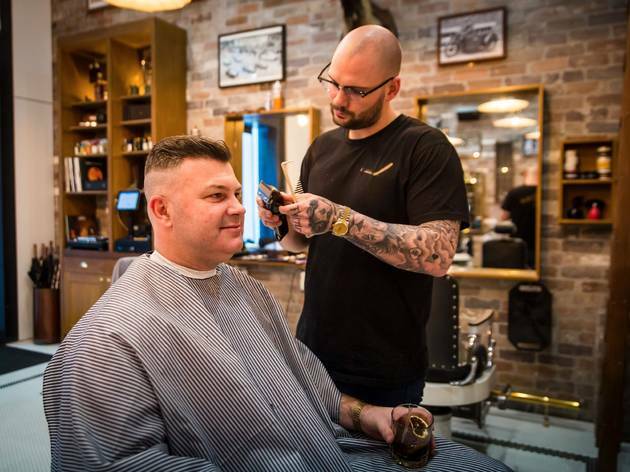 “I want it to be a man’s toyshop,” says Enright. 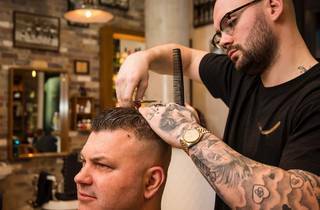 “Not in a sleazy way, just with cigars, cocktails and cologne. 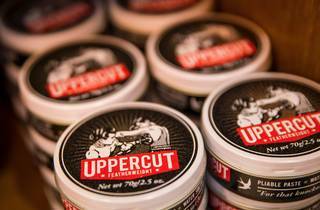 “The modern gent is a lot more discerning nowadays, from what they’re drinking to what face creams they use.” Everything about the barbers is more high end than the York Street shop, from the leather cases on sale to the cabinets stocked with products by Captain Fawcett, Evo and Uppercut. 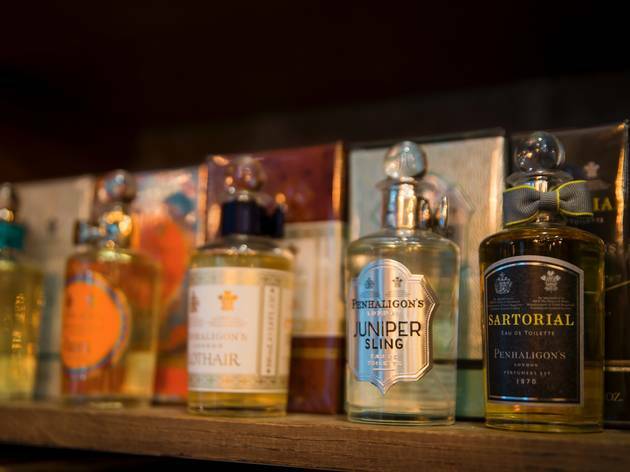 The 45-year-old businessman is even launching his own brand of gin-scented products: a hair paste, hand soap and hair oil. 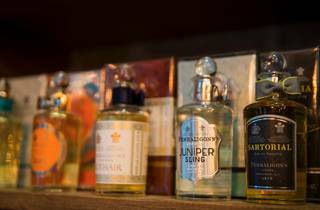 “It has lot of juniper and botanicals for hair growth and skin repair,” says Enright, who worked with a cosmetic company over the past two years to develop the product.